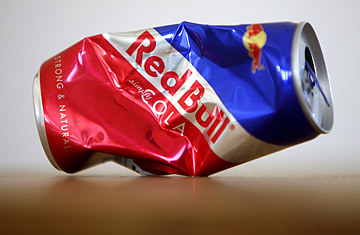 Red Bull's New Cola: A Kick from Cocaine? About a year ago, the makers of Red Bull, the famous caffeine-loaded energy drink, decided to come out with a soda, unsurprisingly named Red Bull Cola. The shared name implied the same big kick. But could the cola's boost  supposedly "100% natural"  come from something else? Officials in Germany worry that they've found the answer  cocaine. And now they have prohibited the soda's sale in six states across the country and may recommend a nation-wide ban. Meanwhile, in Bolivia, halfway around the world and smack in the middle of the Andes, the controversy is causing chuckles. Coca is a fundamental part of Andean culture and for years, Bolivians have tried to get the world to understand that the leaf is not a drug if it's not put through the extensive chemical process that yields cocaine. Left-wing President Evo Morales, a coca-grower himself, has made coca validation a personal quest, chewing leaves in front of world leaders and press cameras during his travels. "Let's say [Red Bull Cola] doesn't take out the cocaine alkaloid. Have any of those millions of people across the world who have drunk that soda ever gotten sick or felt drugged?" asks Dionicio Nunez, a coca-growers' leader from the Yungas region. "We've always known that coca isn't harmful. Now maybe others will realize it too." Coca leaves, of course, have a long record in modern soda-pop history. Most prominently, there was Coca-Cola whose original 19th century formula used unaltered coca leaves. In the early 1900s the company said it would only use "spent," or decocainized leaves, though the company refuses to confirm whether leaves in any form are still used.